cloth bag, jeans, knit clothes and women underwear bar-tacking. box and with good thermal function. 2.Outfit small energy saving servo motor, saving 30% energy compared with the traditional model. 4. Adopting auto trimmer and bottom thread function. Perfect auto trimmer and clipping thread, in order to make the same quality. otherwise saving the cutting time, improve the efficiency of the seaming. button holing.. in x and y, 10% to 200% zoom. with design edit and combination function. 6.The machine will stop when the needle is broken to avoid damage the material. and the design can be sent by SD card. Looking for ideal Electronic Bartacking sewing machine Manufacturer & supplier ? We have a wide selection at great prices to help you get creative. 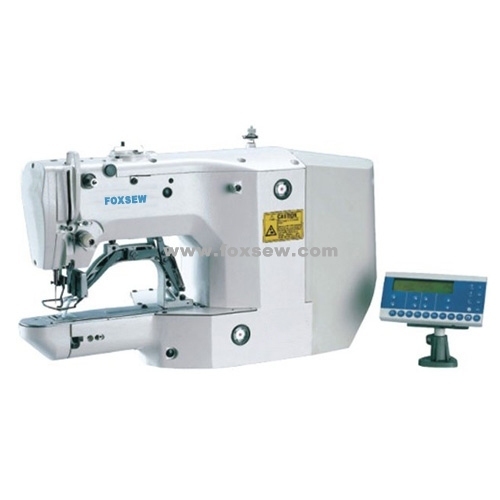 All the Computerized Bar Tacking Sewing Machine are quality guaranteed. We are China Origin Factory of Electronic Bar Tacking Sewing Machine. If you have any question, please feel free to contact us.